The initiation for everything that followed was marked by his first visit to Berghain. "At around 17 I was already spinning House and Techno and had heard one or two things about the club. When I turned 18 I went for the first time, after three hours of queuing up I finally got in. I realized very quickly: 'That's quite something – this club and the people inside make the difference. I'd like to be an artist here, not just a regular visitor.' Eventually I met nd_baumecker and some other staff members and despite the age gap we were on the same wavelength immediately." The mutual understanding quickly led to his first releases: In 2013 Kobosil's remix of Barker & Baumecker's 'Silo' was published on Ostgut Ton, the same year saw Kobosil's 12" debut on his own RK label as well as his EP - ----- on Unterton. With those records Kobosil not only left his mark in Berlin, but also built up a reputation outside of the city and country limits with his gusto for subtly hypnotic synth sounds, noise, ambient and especially the darker, more powerful variant form of Techno. 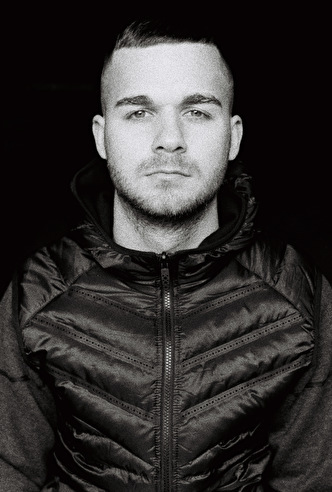 Furthermore the 24-year-old proved himself as a versatile DJ since his Klubnacht debut in August 2013, skillfully combining new Techno records with genre classics, some acid, indie and industrial tracks, while adding pressure to his expressive and emotive sets at the same time. Since day one Kobosil's focus has been the balance between playing records and producing. "DJing very much lives in the here and now. With just one night you can define your own future, but a dj set comes to a halt at the end of the night. In contrast, the production side represents your own legacy. History has proven over and over that music needn't have been a commercial success at the time of its release in order to grow as a cult record over the years. I see it as an artistic challenge to create something that can stand the test of time." The NeukoÌˆlln resident has emphasised this aspiration in the past two years, be it with his club, ambient and live sets, with releases on Marcel Dettmann Records and his very own RK imprint, and via his recent, critically acclaimed remix of Terence Fixmer's 'Aktion Mekanik Theme' on Ostgut Ton – all this exceeding his own visions. His latest release, the 91 EP (Ostgut Ton, 2015), once again proves his sense for functional techno with depth and drive; while his upcoming debut album We Grow, You Decline (out early 2016) extends his artistic range with all new moods and tones, ease and melodious sounds, without abandoning his familiar darkness. "I want next generations to perceive my album as music – not as techno music." It remains to be seen if Kobosil will meet his self-defined goals. His artistic signature and attitude is already distinctive. veroverd stap voor stap de scene!